In the multi-platform development market, there are several players such as PhoneGap, Appcelerator and Kendo Mobile. While all promise a platform that permits true cross-platform development, they do not let developers use certain platform-specific functionalities when needed. This is where Xamarin as the best mobile cross platform app development tool comes into the picture. Seamless sharing of the app logic across several platforms. 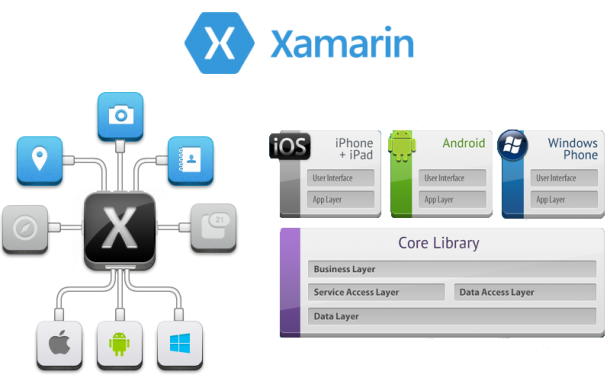 The expert Xamarin developers are able to share almost 75% of the code across various operating systems. This not only saves recoding time but also reduces bug management. Native UI – Xamarin Studio (IDE) supports code completion in C#. This translates into a more integrated UI coverage across platforms, improved application logic and a shared codebase. A high performance assembled code with total access to native APIs makes it easier to create apps for device-specific experiences. It allows building applications on C#. C# is a simple, modern, multi-purpose, object-oriented programming language. The advantages of a strong typed language, lambdas, LINQ, async programming can all be leveraged. The Xamarin component store promises (boasts of) a host of free and paid components such as UI controls and cross platform libraries. This encourages developers to collaborate and share. The developer community has expressed few reservations about Xamarin. A larger than average app overhead on a Xamarin mobile app tends to adversely affect download time and storage on devices. While the company has reduced this overhead burden, the impact on users is still noticeable. Also, a Xamarin development process does not support the design of reusable constituents beyond its own environment. For example, if a code is written for Xamarin, it cannot be used in HTML5 apps. This implies that if a team develops code using Xamarin, it cannot be shared or reused with other teams using a different tool for Android and iOS. 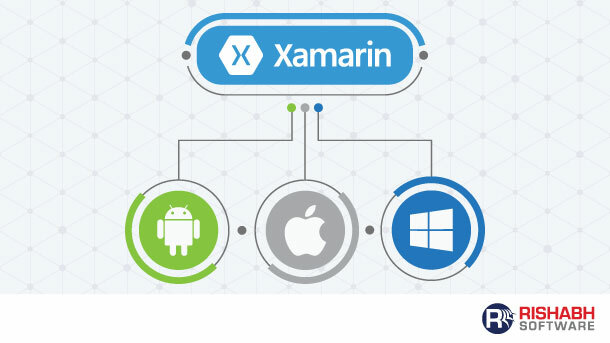 Despite these constraints, Xamarin continues to enjoy unprecedented support from over 700,000 developers who continually enhance this software. Are you looking for a Xamarin app development company to develop your multi-platform app?